Volume Surge Happening on UMAX !!!! Please Get UMAX asap on your Screen and start the digging before the Potential Action Starts. A Solid Answer to Disaster Safety and Relief is finally here, why should we suffer during natural disasters? Will someone found a solution, finally a private company that can potentially give real comfort. We all respect our government, but know how hectic and scary FEMA shelters can be. 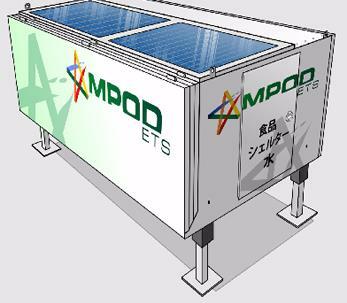 UMAX is working on a joint venture agreement with MOPD concepts, whose mission will be to construct a solar cell based Sustainable Life Pod or Mobile Power on Demand (MOPD) System. This system will potentially be equipped for immediate deployment to disaster areas to provide first respondents a power grid capable of generate power. Establishing a base of operation along with basic necessities such as water, toiletries, freeze dried meals, tents, and other essential items needed immediately after a disaster has occurred. This is highly a very unique technology, and I can honesty say we need it badly. How many times have we lost innocent lives after natural disasters occur, from lack of Air conditioning or medical treatment? Most of the time it is because the EMT or rescuers run out of resources. This provides a potential mobile support or base for those units. Market wise UMAX has seen solid steady Pickup in activity day to day, something is brewing here. Maybe a Large Investor coming into the picture? or maybe potential venture agreement news? THIS IS THE ONE YOU WANT ON YOUR SIDE. Wow UMAX is only showing a Extremely Tiny Share Float of just over 77,000 shares. This is crazy meaning any type of demand can drive this thing absolutely Bunkers. Out of Control.